Hi, this is a nice and new example of a junk rigged Vertue II. 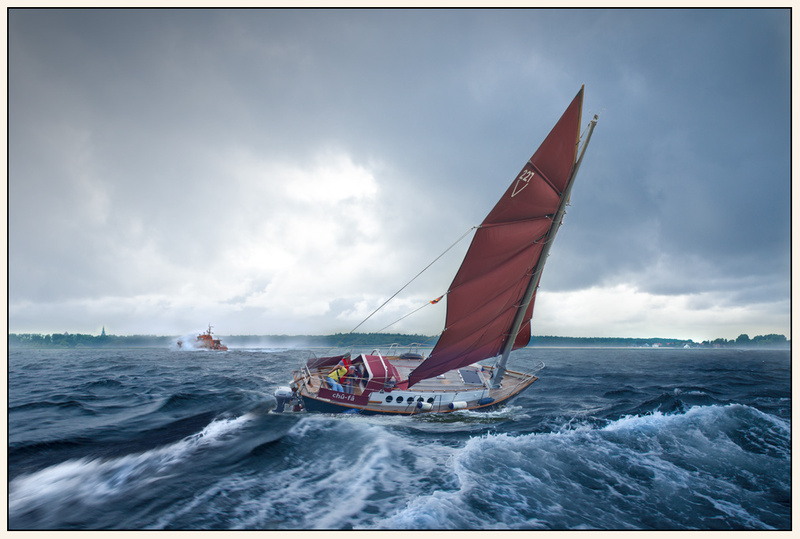 The boat is first launched in 2016. 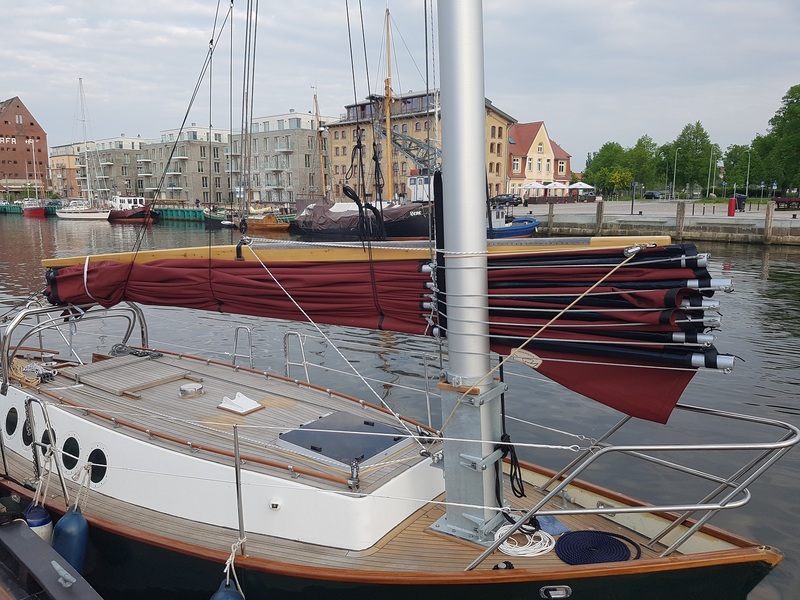 It is strip planked and has a professionel rigg made by boatbuilders and the sailmaker "Tuchwerkstatt". …i'd buy it immediately, without hesitation – just as it is! I agree it looks brilliant. I wonder if you would share details of the tabernacle and mast construction? Looks very elegant. If you look in Magazine 61, you will find an article by Pete Hill on building a tabernace for the Vertue, Speedwell of Hong Kong. Thanks, I have seen Pete's article previously. Vertue II's tabernacle appears to be made from alloy rather than wood. I'd be interested in learning what was used and how it was fabricated. the tabernakel is of steel with a surface of zinc. There is one part on deck and another inside the boat below the deck until the keelson. So there is no posibility that water can go inside.The mast is hold by a turnable ring at the upper end and with three latches. Under deck the room between two bulkheads is all around strengthend by fiberglass and epoxid. The fotos are befor installation. Uwe, That's a great idea to avoid cutting holes in the deck. How thick is the tabernacle steel? Is the mast aluminum? I was unable to open the picture inside but could see pretty good from the thumbnail. Thanks! If you had any close up pictures of the mast base and tabernacle installed I'd love to see those as well. Appreciate your help and ingenuity! I am sorry to answer late. Here I have a foto from the first rigging. I hope you can see, the mast is aluminium, and the thickness of the steel. to all: to a fast sell I am open for offers!